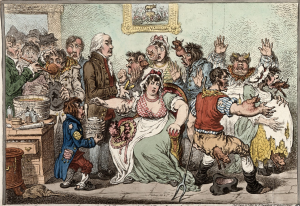 In the 1850s, smallpox vaccination became compulsory in Britain. But the influence of anti-vaccination campaigners meant outbreaks were still possible – as one teenage girl found out to her cost. Gloucester, 1896. Ethel Cromwell is taken ill at the height of Britain’s last great smallpox epidemic. In the spring of that year she lay, covered in infectious blisters, in a Gloucester hospital. 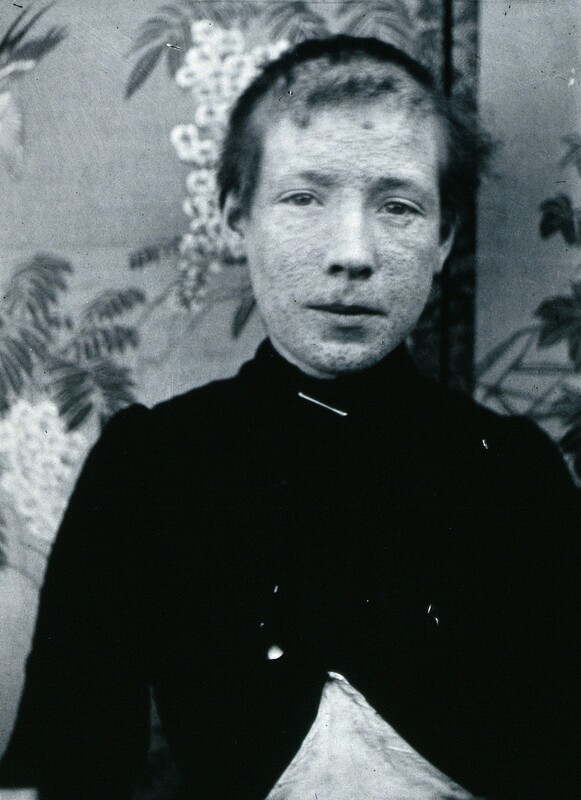 The photographer who took her picture recorded Cromwell’s name, her age (“about 14 years”), her date of admission and one other crucial fact: that she had never been vaccinated against smallpox, the disease now causing her so much pain. Cromwell was one of at least 10,000 local children thought to be unvaccinated when Britain’s last great smallpox epidemic hit the West Country city of Gloucester. Each of their parents or guardians had acted outside the law, risking the health of their children and that of the wider population. In mid-January, a few days before Cromwell arrived at the hospital, the fever, headaches and nausea would have started. She may have had a searing pain in her back and her throat was probably raw with sores. As soon as a rash of flat red spots appeared, smallpox would have been diagnosed and Cromwell would have been sent to hospital. There her rash would have developed into blisters filled with yellow pus, which would have stretched her skin so tight it ached. Back at home, Cromwell’s clothes and bedding would have been burned, her rooms disinfected and whoever she lived with quarantined. As the first spots broke out on Cromwell’s face, body and arms, Dr John Campbell, the Gloucester Medical Officer of Health, realised the outbreak, which had begun the previous summer, was now progressing “in an alarming manner”. 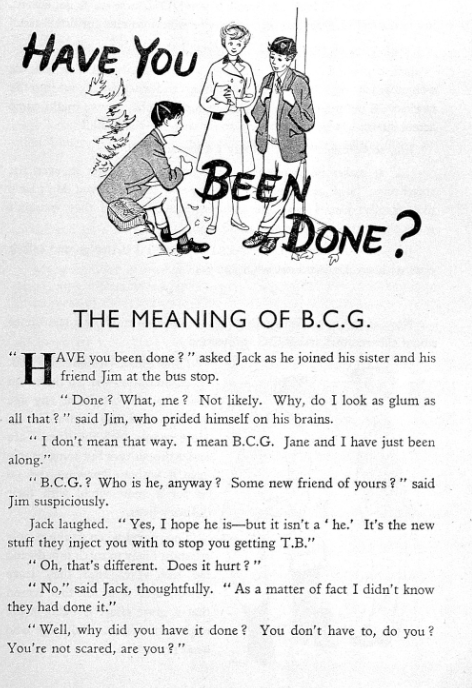 In order to contain it, Campbell advised the local sanitary authority to recruit a team of people to travel from house to house providing vaccinations. His recommendation wasn’t implemented at that stage. Instead, the formerly indifferent Gloucester Board of Guardians – which oversaw relief given to the poor – issued an announcement recommending parents obtain immediate vaccinations for their children. Around the same time, lecturers indulging in what Campbell termed “intentional untruthfulness” travelled the country claiming the epidemic was caused by insanitary conditions. These speakers formed part of a mass political movement that opposed vaccination, and in particular the state’s decision, 40 years before, to make it compulsory. The anti-vaccinators have not been idle, and have caused it to be rumoured far and near that the true cause of the epidemic was the unhealthy condition of the city, and not the want of vaccination. These, I find, are the tactics they adopt everywhere, a red herring, I suppose, to divert the scent from the true cause. 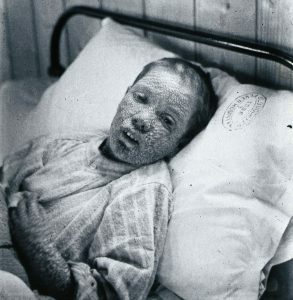 Prior to the 1800s the only way to control the spread of smallpox was through a practice known as variolation. 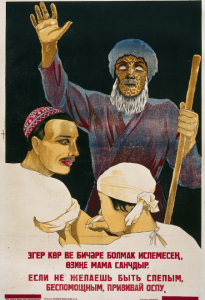 First used in China, this early form of inoculation took fluid or scabs from someone infected with smallpox and introduced them into a healthy person, either by inhaling the material or by rubbing it into a cut on the arm or leg. If all went well, the recipient caught a mild version of the disease and therefore became immune to later infection. However, some people died from the procedure or from other infections picked up during it. 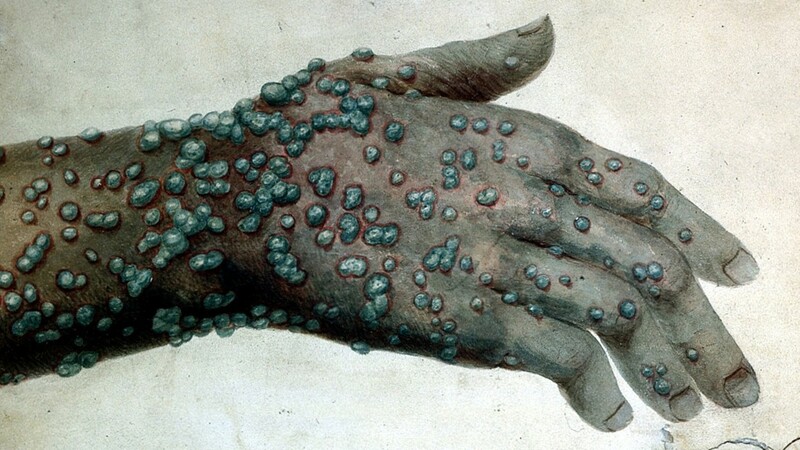 Anyone deliberately infected with the disease also had the obvious potential to spread smallpox to others. In 1796, just 30 kilometres from Gloucester, Dr Edward Jenner experimented with a safer version of variolation based on the observation that dairymaids who had suffered from the much milder cowpox appeared to be protected from smallpox. 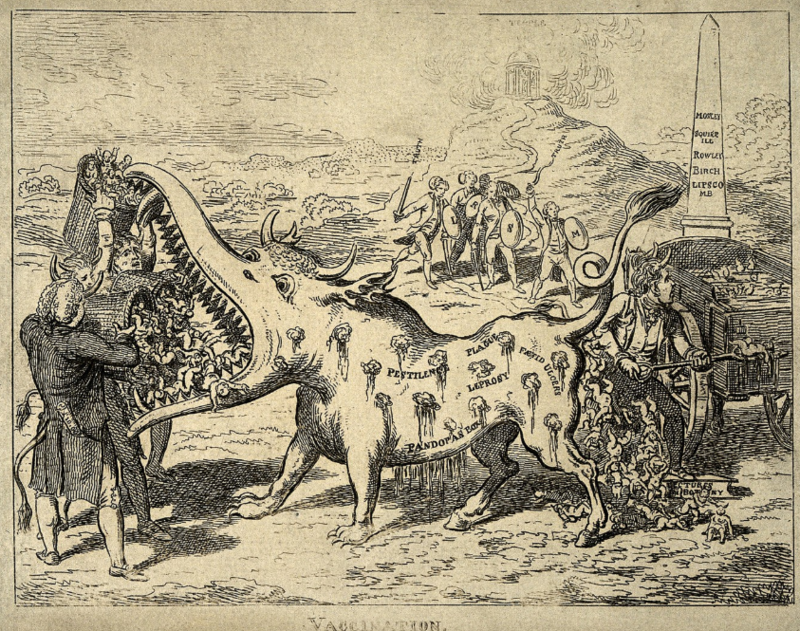 Jenner transferred material from a woman infected with cowpox into an eight-year-old boy, a process he called ‘vaccination’ after the Latin word for cow: vacca. 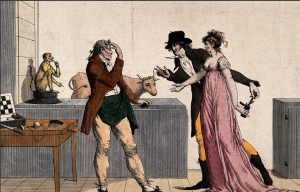 Jenner wasn’t the first person to successfully vaccinate using cowpox, but his work conferred scientific status on the procedure and led to its widespread adoption. 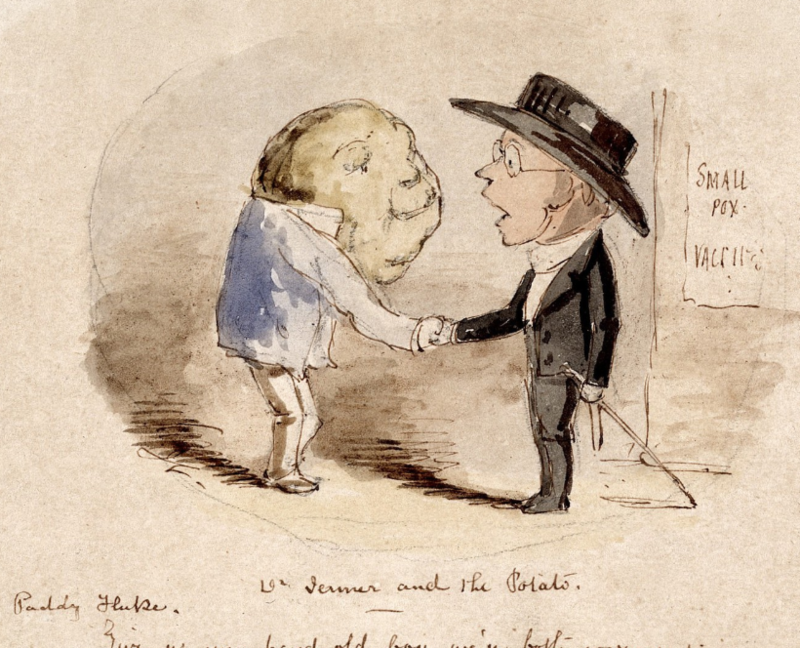 By 1853 smallpox vaccination was a legal requirement for newborns in England and Wales, yet there were few consequences for anyone who avoided it. It was 20 years before the first prosecutions were brought, when anyone found guilty could be penalised by a fine or prison term. This move transformed an issue of personal medical preference into a question of civil liberties. 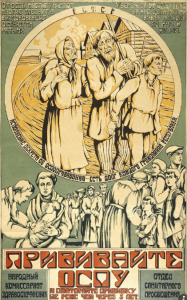 It also challenged the long-held rights of individual councils and communities to make decisions based on the specific circumstances of their own areas. 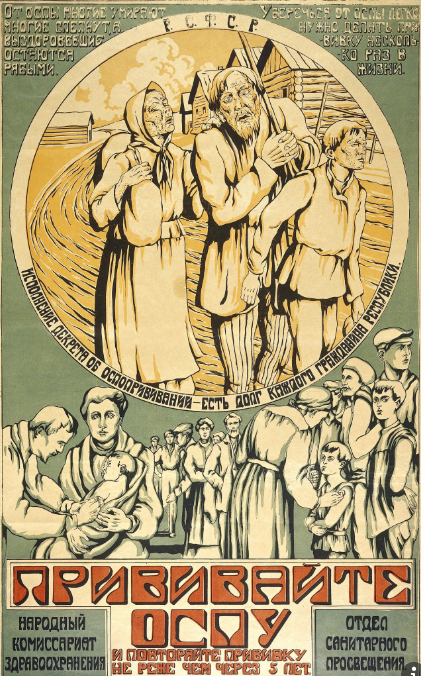 In response, the world’s first organised anti-vaccination societies, publications and rallies sprung up. The State has no right to encroach upon parental responsibility, or to impose either religious or medical dogmas upon the people of this country on any pretence whatever. There is no record of whether anti-vaccinators directly influenced Cromwell’s parents or guardians. Their decision couldn’t have been due to cost: vaccination had been freely available at public vaccination stations since the early 1800s. Perhaps they didn’t see the need for it or didn’t want to put their child through what was, by today’s standards, still an unpleasant and potentially dangerous procedure. Or perhaps they resisted on moral or religious grounds. For whatever reasons, the prevailing mood in Gloucester had turned against vaccination at least a decade before. Local MPs and officials on the Board of Guardians were elected on anti-vaccination tickets and, in 1887, the board voted to “take no further steps in vaccination prosecutions”, effectively removing any compulsion to agree to it. 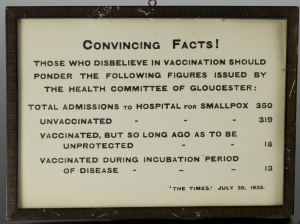 As a result, the year before the 1896 epidemic the Vaccination Inquirerdescribed Gloucester as the least vaccinated city in the country, with 83 per cent of the population failing to comply with the law. 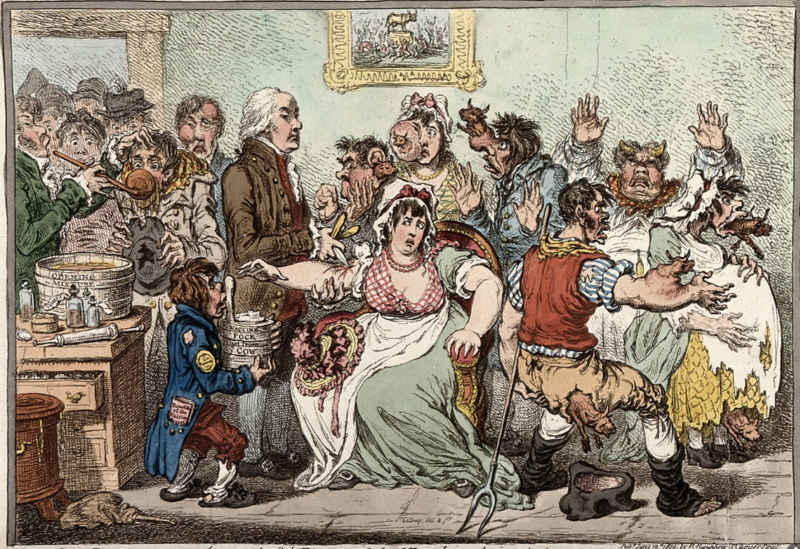 Individual reasons for objecting to vaccination were, as they still are today, diverse. Some felt any technological intervention against a common disease was unnatural. Smallpox, after all, had been a fact of life for centuries. It struck all sectors of society, even killing Queen Mary II, her brother, uncles and nieces. For many, attempting to control something so embedded in the experience of life (and death) was an act against God’s divine plan. 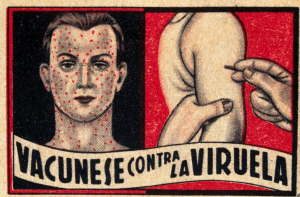 Other non-vaccinators felt the process went against the laws of logic – how could introducing infectious material into the body ever be good for you? Even people who embraced the latest scientific thinking – Charles Darwin’s theory of evolution by natural selection – felt vaccination was flying in the face of nature, since it used material taken from a lower form of life (the cow). 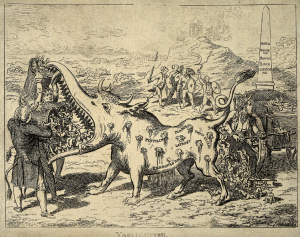 This issue of intermingling the bodily material of a beast and a human prompted some of the most emotional reactions against vaccination, as people feared the process might cause them or their children to develop brutish, cow-like appendages or habits. Whatever the reasons for so many people in Gloucester defying the law, their decisions enabled the disease to spread quickly through unvaccinated children at school. Fifty other cases were notified during the month Cromwell arrived in hospital; four weeks later there were no free hospital beds. By the end of April the number of monthly diagnoses had risen to almost 900. As the severity of the outbreak became apparent, many parents took their children to free vaccination stations. 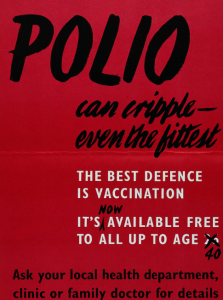 The Board of Guardians, which now viewed vaccination as a way of controlling the epidemic, finally formed a committee to oversee house-to-house vaccination visits and instructed employers to get their staff – many of whom may have received vaccinations as babies – re-vaccinated. 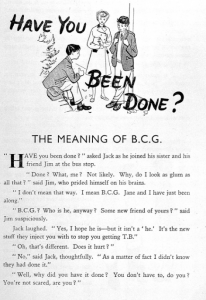 Posters and handbills distributed to households the day before, and on the morning of, the vaccinators’ visits appealed to individuals’ moral duty, asking anyone who had previously opposed vaccination to consider “the grave responsibility” they were incurring. They were implored to “follow the good example already set by so many… who have submitted both themselves and their families to the operation for the public good”. 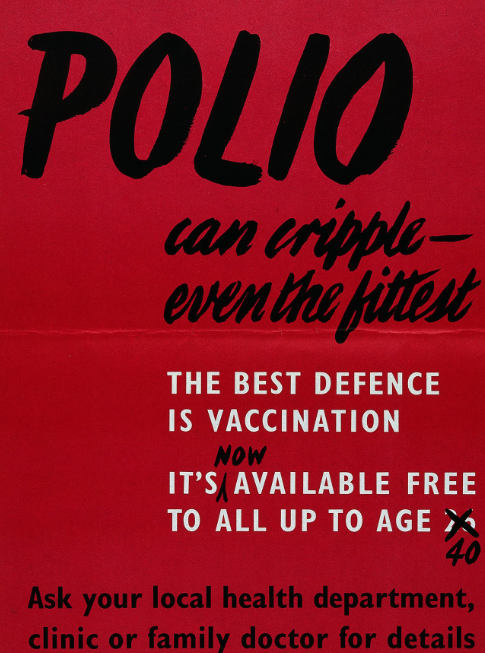 Unlike pro-vaccination campaigns in later years, the wording emphasised the benefit to the wider public rather than the impact on individual health. Six months after Ethel Cromwell contracted the disease, no new cases were being reported in Gloucester. The mass vaccination project had brought the outbreak under control, but not before 1,981 people had been infected. Two-thirds of these were children under ten. The handful of these who had been vaccinated all survived. Of the unvaccinated, 40 per cent died. It was a similar story in other segments of the population. 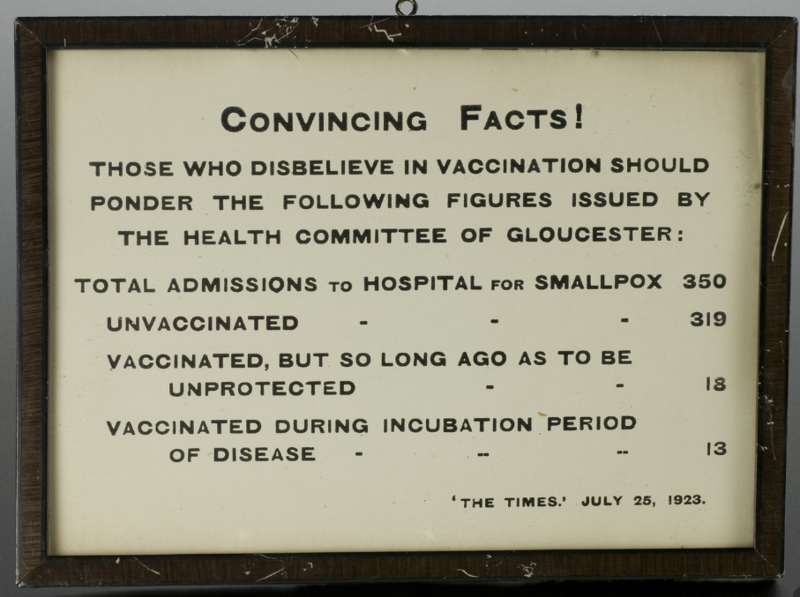 Gloucester residents faced with a severe outbreak embraced vaccination at the time, in something akin to a religious conversion, but the level of support for compulsory vaccination at birth hardly changed. Just two years later a new law allowed parents to opt out of vaccination based on their conscience. 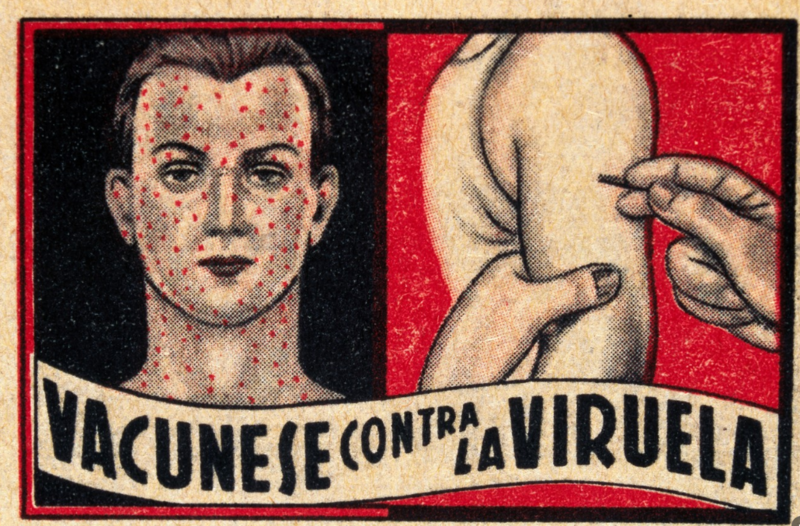 Conscientious objectors had, initially, to convince a magistrate that they believed the vaccine to be unsafe or ineffective. Of course, one’s conscience, as the National Anti-Vaccination League pointed out years before, is not something that can be assessed by anyone but the individual. It cannot be evaluated in any judicial – or scientific – way. By April Ethel Cromwell’s blisters had dried up, her infectious scabs dropped away and she was discharged from hospital. Though lucky not to have died or lost her sight, she would bear smallpox’s characteristic pockmarks for the rest of her life. 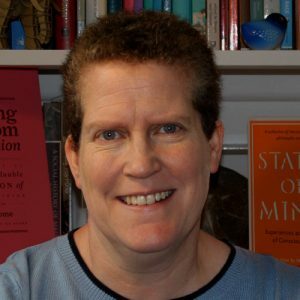 When Gloucester experienced another epidemic 30 years later, she and other survivors of the 1896 outbreak would, at least, have been immune – a position they could have been in much earlier if their parents had consented to vaccination. This entry was posted in Disease, History, Vaccines. Bookmark the permalink.